Entertainers dream home!! Over 1800 Sq Ft, this gorgeous, move-in ready ranch style home has vaulted ceilings, 2 master bedrooms, walk-in closet, walk-in kitchen pantry accompanied by an extraordinary open floor plan. The backyard is equipped with a custom deck, BBQ, pool/Jacuzzi, and beautiful sunset views. 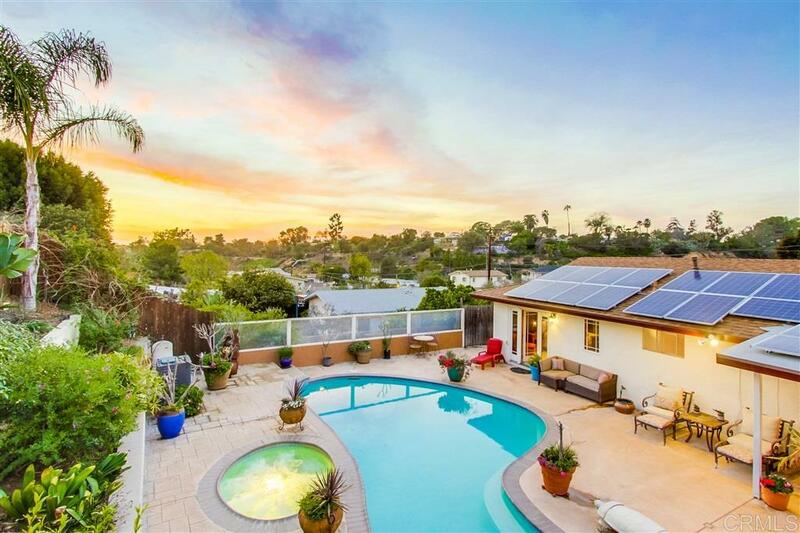 Home is equipped with solar panels paid in full. Just minuets from shopping, the freeways and beaches this one of a kind Clairemont home will not last. Call and go see today!!! Courtesy of Jordan Pacific, Inc.